Sponsored by CITI Foundation, the first African Microfinance Week gathered over 250 participants in Arusha, Tanzania, from 2nd to 6th December 2013. Five days of lectures, discussions, meetings and training brought together microfinance practitioners of all levels from 44 countries ‐ including 36 African countries – to discuss a number of key issues for the future of microfinance, such as regulation. Organized by ADA, a Luxembourgish development association specialized in inclusive finance, the conference was attended by Janet Zebedayo Mbene, Deputy Finance Minister of Tanzania, and Janira Isabel Fonseca Hopffer Almada, Minister of Youth, Employment and Human Resources Development at Cape Verde, among other stakeholders. The 2-day conference enabled 30 specialists to address issues related to the implementation and supervision of regulations and their impact on different levels: outreach, ownership, funding and financial inclusion. An analysis of regulation showed that, despite being implemented at different times in different countries, it had a beneficial overall effect on the development of the microfinance sector, which has grown to become a vibrant part of the financial sector. An estimated 70% of enterprises on the African continent are considered financially underserved. Financial inclusion has become a priority in Tanzania where the Bank of Tanzania (BOT) and the stakeholder are developing solutions and services to ensure greater access to credit for the wider population. BOT recently announced its ambitions for 50% financial inclusion in the country by attempting to more effectively leverage mobile transfer and transaction technology. According to the National Financial Inclusion Framework report, levels of financial access in rural Tanzania are at 8.5%, contrasted with 23% in urban centres. 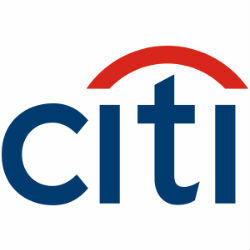 The Citi Foundation targets its strategic giving to priority focus areas: Microfinance, Enterprise Development, Youth Education and Livelihoods, and Financial Capability and Asset Building.